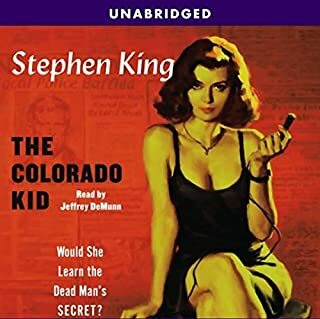 No one but Stephen King could tell this story about the darkness at the heart of the unknown and our compulsion to investigate the unexplained. With echoes of Dashiell Hammett's The Maltese Falcon and the work of Graham Greene, one of the world's great storytellers presents a surprising tale that explores the nature of mystery itself. Lisey Debusher Landon lost her husband, Scott, two years ago, after a 25-year marriage of the most profound and sometimes frightening intimacy. Scott was an award-winning, best-selling novelist, and a very complicated man. Early in their relationship, before they married, Lisey had to learn from him about books and blood and "bools". Later, she understood that there was a place Scott went, a place that both terrified and healed him, could eat him alive, or give him the ideas he needed in order to live. Now it's Lisey's turn to face Scott's demons, Lisey's turn to go to Boo'ya Moon. What begins as a widow's effort to sort through the papers of her celebrated husband becomes a nearly fatal journey into the darkness he inhabited. Perhaps King's most personal and powerful story ever, Lisey's Story is about the wellsprings of creativity, the temptations of madness, and the secret language of love. I remember when I first tried to read this book years ago, when it came out, it didn’t click with me. 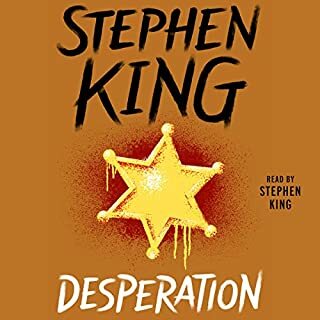 However the audiobook is great, the narration is perfect. It’s a really beautiful, haunting story about marriage & loss. Mare Winningham’s voice is perfect to relax to but still be enthralled by. the story starts slow but you quickly become attached to the characters, and Mare Winningham. just wow. if audiobook readers had Oscars. you'd be going home with best performance. it took me quite a while to get into this, I kept finding myself distracted quite easily. Once the story got off the ground I was riveted as usual. I have to listen to it again now to put it all together properly. 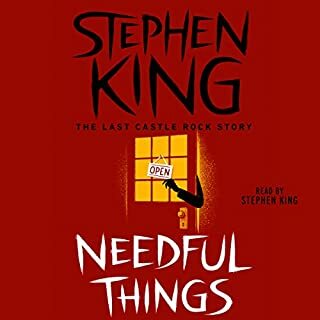 As usual Stephen King creates beautiful relationships, interesting and fallible Heroes, and of course his terrible evil antagonist(s). 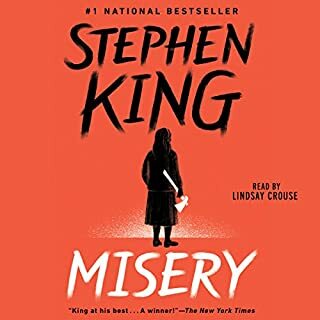 I just finished Lisey's Story today, and I have to say that if this book and Cell signal a new turn for Stephen King, I'm happy about it. 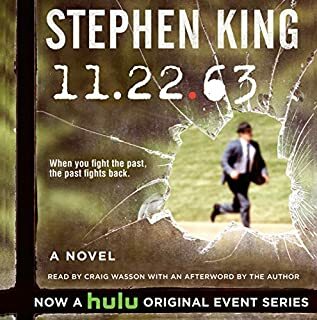 As with Cell, King is talking about bigger things within the context of horror, but with this book he's also talking about them within the context of a long marriage. This time they're the presence of love, and language and myth. Lisey's Story doesn't follow the standard King map many may expect. Nobody's holed up in a cellar or a car or an abandoned building with a monster at the door. There are horrific parts and suspenseful parts, but those looking for a gorefest will probably be disappointed. That may be the reason why some reviewers complained about a slow start. I didn't find it slow, however; the seed of the plot is planted when the "incuncs" are introduced. "Incunc" is Lisey's malapropism for "incunabula," or rare, unpublished manuscripts that are often in the author's own hand. Scholars expect that Lisey's departed husband, a writer, has left some behind and they want to get their hands on them. The scholars are what Lisey calls the "incuncs," and the book goes back and forth between their presence in the present time, and Lisey's memories of her marriage. I'm not a big love story person, so I almost didn't get this book. But I'm glad I did. This isn't Mr. Darcy and Elizabeth Bennett; this is two messed-up people, both with problems, who managed to stay together and like it in spite of everything. I found that inspiring and touching. 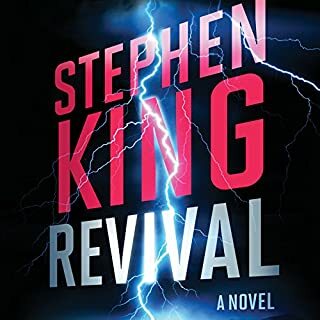 Moreover, King's prose style has improved a lot over the last three decades (as we might hope! ), but he still knows how to tell a good story. Mare Winningham does a great job on the narration as well. Highly recommended. 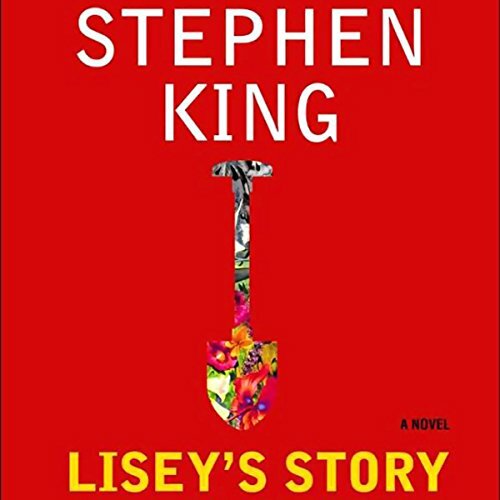 Lisey's story was a superb reflection of how this writer's mind works minus unnecessary gore. Story was spellbinding, building slowly to an incredible finish. The reader was one of the finest I've heard and she made the story come to life. Why Didn't I Read This Before Now? We should just quit reviewing King. The words have all been said. I hope he's exercising and eating right, because it's going to be one sad day when he's gone. I passed this novel by for several years, and I don't know why. 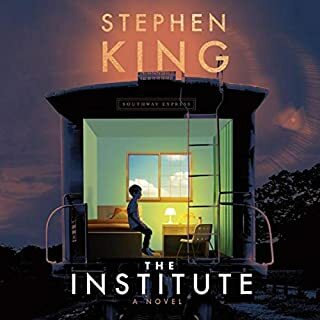 It's excellent and his storyline blows in a different direction..more driven by character development than by horror and suspense. Although there is plenty of that also. If you haven't read it, you might as well put it in your cart. You're going to soon or later anyway. This one shook and rattled me throughout. There are two Stephen Kings, apparently. There is the superficial monster-story writer who creates fascinating and creepy tales of humans fighting for survival amongst supernatural carnage, and there is the keen observer of the human condition who tells stories of human exploration of grief and joy, happiness and bitterness, love, death, and the whole range of questions surrounding human existence. This book has both, but it concentrates on the latter. 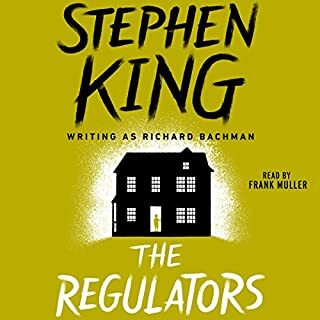 Told through the eyes of a middle-aged widow haunted by her famous husband's legacy, this is maybe the most sober story King has told. The heroine is not super-human, is not exceptional in the way most heroes are, yet she struggles through emotional turmoil, real life catastrophes, and a supernatural force she cannot fully grasp. 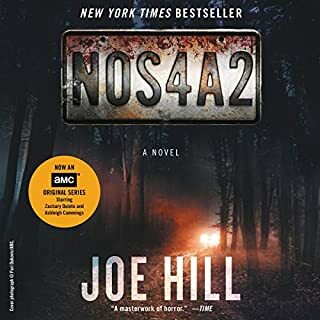 The writing is powerful and touching, with vivid scenes of mystery and horror, as well as tender scenes of loss, grief, redemption, and understanding. And through it all is a thinly-veiled timeless metaphor which is easier to recognize than identify. 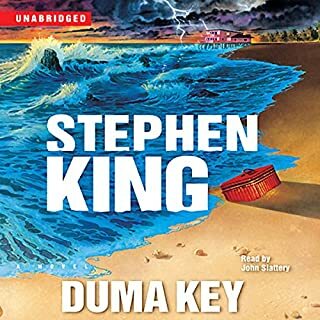 Read this one, "Bag of Bones," and "Duma Key," and you might just find yourself comparing King not unfavorably to Charles Dickens, for his observation of the everyday world and his introspective identification of human motives. 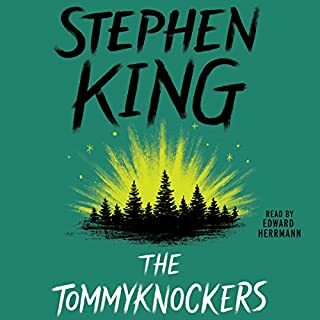 True, whereas Dickens often had a light, humorous prose, King's is nostalgic bordering on morose, but both reach beyond the story they are telling to touch on truths just out of your reach. And the reading by Mare Winningham is as impressive as King's writing in this. Maybe moreso, at times. She puts a delicate interpretation on lines, even words, that draw out elements you don't notice otherwise. Good story, good read. Highly recommended. 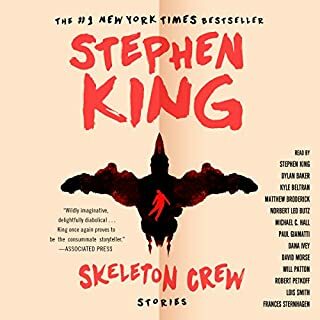 For King fans, this listen will be a bit more cerebral, and a good deal less traditional King Creepshow. 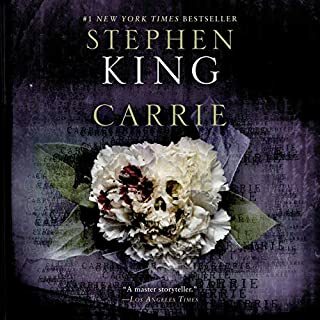 From that perspective, Lisey's Story is a masterpiece of fiction, seasoned by King's ability to transform the mundane aspects of life into otherworldly, magical elements. It becomes almost autobiographical in the detailed journey through the details held within writer's imagination, The Pool, and the reader's ability to hitch a ride for a voyeuristic dip. Not a traditional horror format, Lisey's Story is a personal description of the ways and means of authorship, the guts of the writer's mind, and the interaction between the real world and The Pool, just under the surface, but not available to all, offered not to frighten, but rather validate and explain. Some people have said they've gotten lost in the language. I, too, have gotten lost. But in that magical way that happens when charaters come to life. Every family has an "inner language". It's just a question of listening long enough to understand what they're saying. This tale was beautiful, intelligent, heartbreaking, and an absolute anthem to love. But let's not forget, this is still the talented Mr. King, and he does not disappoint. That essential feeling of something lurking just out of sight or beyond the grasp of our Everyday Senses is right there; a thread running continuously throughout this magnificent tale. And then there's the reader. Mare Winningham did an amazing job of characterizing the voices; even her breath and whispers were impeccably timed. Ms. Winningham's voice picked me up, envelopped me and surrounded me with the lives of people who seemed so real. Well done! to both Mr. King for the creation of this superbly written work and to Ms. Winningham for her telling of same. I had a difficult time getting into this King creation, and I discovered that I had to be patient to let the unique language and pace settle in my brain. 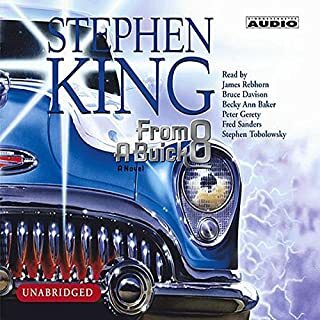 If you're a fan of King, you can expect some parallels from other books: strong character development, unique abilities to travel back and forth between other worlds (not "The Territories" here but instead "Boo'ya Moon"), and King-isms/unique phrases ("blood-bool," and "puffickly huh-yooge") that repeat like a gnawing musical motif that you can't get out of your head. What you'll find unique is that this is a more cerebral work that likely won't grab your attention right off the bat. In fact, you may feel "smucking" frustrated by the language and the jumps in the time-line of the narrative. These seem to be intentional literary devices that King has mastered, so be patient... it serves its own purpose. 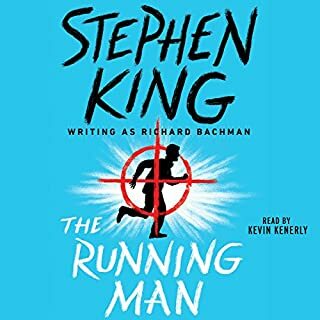 I've read everything that King has put out, starting with the Bachman books before I even knew they were Stephen King. If I had started with this book, I might be inclined to not read anything else by him, but as a fan in for the long-haul, this work has its place, and I enjoyed the slow mind-screw that the book provided. I listened to Duma Key before this and based off the reviews of the two books, was expecting less than I got from this than I did Duma Key. When I read a horror story, I want something more than just a combination of scary moments. I want the scary thing in the story, whatever it is, to have real substance. I felt that in Lisey's Story, more so than most of his other works, King hit upon something very real and very evil. My favorite King work to date. 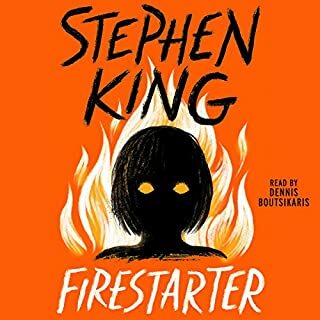 My first review for audible.com. I'm compelled to write in defense of this title, which some other readers haven't liked much. It is all we love about Steven King. Masterful use of language to paint a vivid scene, often so recognizable from our own experience that it brings a smile. 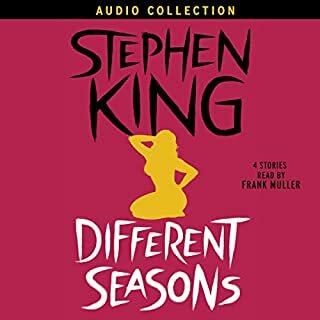 Characters so real they nearly leap from the page (or headphones, as the case may be...) A story so enthralling it's hard to forget. Expertly read by Mare Winningham. No fancy studio effects, just simply and convincingly read aloud with appropriate emphasis in all the right places. She executes local dialects easily and consistently, without distracting from the power of the words of dialog. I would love to hear more from this reader. Yes, a good deal of the story is told in flashbacks and internal dialog. You do have to pay attention to hold your place and time in the story. But that's a bargain that King often makes with his readers, and Oh! it's well worth meeting the challenge. 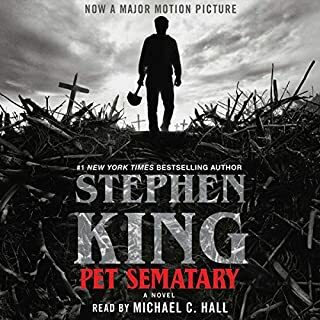 Those King fans looking for Cujo, Carrie, or The Shining will probably not like this book. Those looking for The Green Mile or Shawshank Redemption probably will. I truly loved this book and found myself thinking over and over about my husband and our crazy quirks. Many days after listening and getting home after my daily commute I hugged him a little harder.